We’re doing an early mailbag this week with a recruiting-only mailbag on Thursday following the Feb. 4 National Signing Day. Up first, the full Hail Varsity staff tackles questions about Nebraska basketball’s future, the “freshman vs. transfer” approach, and Huskers as future coaches. Derek Peterson: I don’t know about a disguise, but Amy Williams’ squad went 9-2 on the road last season. I’d start by asking her what the approach was. Erin Sorensen: I think it depends. In the case of Tre Neal, he was a huge asset to Scott Frost and his staff when it was needed most. He was the right investment for Nebraska because of what he could bring to the table at that time. I wouldn’t have traded Neal for a four-year freshman in that case. However, there are plenty of cases where a freshman that can be developed is the right move. The long-term investment is likely the best bet overall (just because you then get the time to work with that individual and develop them into the player you want them to be), and likely the one I’d take. I just know it’s important to also have those short-term solutions when it’s needed. Greg Smith: All things being equal, I’d take the long-term investment with a 4-year player with great potential. Of course, situations like Tre Neal can pop up or big-time QBs like we’ve seen around the country. On average though, I’d want the coaching staff plus S&C staff to be able to work with a kid for 4 years. DP: Potential, potential, potential. There are short-term, stop-gaps where you need a guy to fill a spot where you have a few guys who aren’t yet ready for a big role (and Neal was a rare case because he was also a de facto coach for the rest of the defense), but I’m always taking youth. You can control the development, set the tendencies and have a player tailormade for your scheme rather than a finished product you try to meld to what you need. Mike Babcock: No disagreement with the group. Most of the time, I’d take four years, for development and establishing a culture. Jacob Padilla: My answer is also you take the upside play and go with the freshman, but in Nebraska’s current situation, it doesn’t look like they’re going to fill up those remaining spots with 4-star talent so it might be a good idea to save a spot or two in case a quality grad transfer does pop up on their radar. I’d rather go for the short term, higher-impact guy than to just take another freshman for the sake of filling up the class. DP: A week ago, I said they’d go 3-7 over the final 10 games with two wins at home and one road win. I factored Illinois as the most likely road win. The next four games for NU are Maryland at home, Purdue on the road, Minnesota at home and Northwestern at home. The way they’re playing now, I can’t realistically pick them to win any of those first three. Northwestern (12-10, 3-8 Big Ten, three straight losses) is the best chance. They follow the Wildcats up with Penn State (8-14, 1-10 Big Ten, just beat Northwestern) on the road. Nebraska needs to beat both because I don’t see any other wins on the schedule. MB: Northwestern and Penn State, and one upset, though looking at what remains, I’m not sure I see an upset, maybe Iowa at home to finish the regular season? JP: I have to agree with Derek and Mike. Last week I said it would probably be either 3-4 or 5-6 depending on how that Illinois game went. After watching that game, three is looking like the absolute best-case scenario unless Miles finds some solution to what is going on right now. DP: I really like Armon Gates, but I don’t think that’s how these things typically go. I’m not touching Rick Pitino with a 10-foot pole and I hope Nebraska feels the same. Nevada’s Eric Musselman will be a popular name as the Wolfpack have now won at least 20 games in each of his first four seasons. Nebraska probably can’t pull a big name from somewhere unless there’s a tie to the area like Dana Altman or a tie to Bill Moos, but I don’t think there are any issues with going the up-and-comer route. For that, I’ll offer up a name: T.J. Otzelberger. The South Dakota State head coach is in his third season and is looking at his third straight NCAA Tourney. The Jackrabbits won the Summit conference tourney his first year, the regular season conference title and conference tourney his second year and have already amassed 19 wins in 2018-19. What’s better, Otzelberger’s offense has ranked 65th, 11th, and now 10th nationally in offensive rating during his first three years. Brandon Vogel: Of that group, Altman would be my pick. He’s had four head coaching jobs—we're not counting Arkansas here—and won that conference’s coach-of-the-year award in each of them. Not bad. And he did that in West Virginia, Kansas, Nebraska and Oregon. That’s good, too. Would he be interested in Nebraska? I’m not so sure about that, but if he is he’d be the near the top of my list. MB: Altman is my choice. I believe he still has family connections in Wilber, so that might be an attraction. JP: I don’t see Altman accepting the job, and I think Musselman isn’t going to leave Nevada for a job like Nebraska. Otzelberger was the name I was going to bring up as well. There’s a different AD in place now, obviously, but Nebraska has tended to go the up-and-coming mid-major route as opposed to going after a big-name retread or hiring a blue blood program assistant. Definitely not Pitino. If Nebraska were to stay in-house, Michael Lewis would get first crack ahead of Armon Gates but the in-house situation only tends to happen when the coach leaves for another job (rather than getting fired) or the coach gets fired in-season and the assistant does a good job as the interim. Neither one of those scenarios seem likely in this case. DP: I think the shortlist will include guys who have fielded upper-level offenses and coaches who have shown the ability to develop and retain the talent they get. Tim Miles has made his career at Nebraska on transfers. That’s a volatile and unsustainable way to build. The depth issues that have been exposed this season are a direct result of that approach. 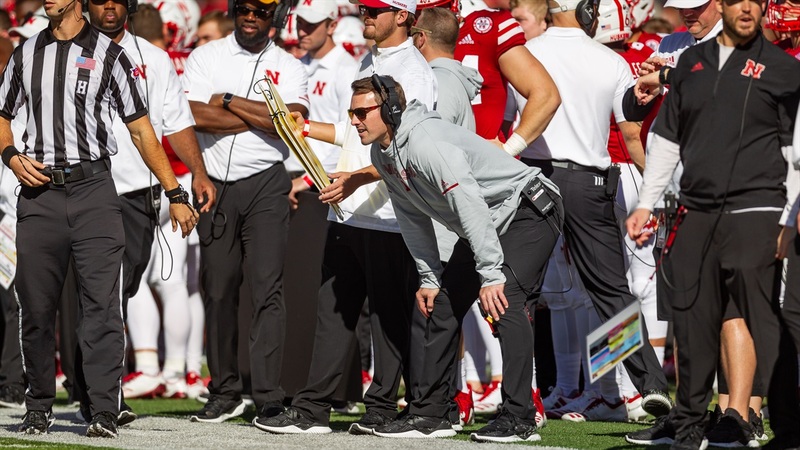 As for the offense, in Miles’ seven seasons, the Huskers have had zero top-50 offenses, one top-100 offense and three sub-250 offenses by offensive rating. I think Moos will look for a guy who runs a more clearly-defined offensive system that can maximize the talent he has at his disposal. MB: If not Altman, first off, Bill Moos needs to find an aggressive recruiter, if that’s possible. JP: In addition to a sharp offensive mind, I think Nebraska needs to focus in on the ability to develop players. I think the current staff has been able to recruit well enough to compete in this league, but a lot of those players just haven’t developed as well as they needed to. Find a coach that gets the most out of his talent. GS: The new Toyota Supra. Fast, sleek and coming back into style. ES: Absolutely. Because I could just stream it on my computer or phone. Ha! GS: Assuming I get to know that they won and celebrate accordingly, 100-percent yes. Congrats to the Lakers. BV: Radio calls can be a great thing. I’d happily do that. Then write a very easy-to-see-coming book about the experience of experiencing a team’s title the old-fashioned way in an era of instant and on-demand information. MB: The Warriors have won titles with me watching. The Giants have won titles with me watching. The 49ers have won titles with me watching, but not recently. Nebraska? I’d do as Brandon suggests, without writing a book, though. JP: Nope. The whole point of being a fan is getting to enjoy following your team. Radio calls don’t do it for me, and Creighton is the only one of my favorite teams that I get to see in person (the Green Bay Packers and Pheonix Suns being my other teams and me living in Omaha and all). I’m not going to cheat my way out of answering the question like Erin, so I’ll pass on the deal and hope my teams can pull it off on their own with me watching. DP: In terms of increasing awareness and support, Erik Chinander was at the match on Sunday and that’s smart to market the heck out of that. Those matches need to find their way onto TV outside of BTN. How many casual fans knew that match was even happening? GS: I’m going to cheat a bit here and go with someone on staff and say Barrett Ruud. He has a sharp football mind and connects well with people. I am not saying that is happening soon but it wouldn’t shock me way down the road. DP: It’s probably too early to project Taylor’s tenure with the Bengals; there are a bunch of factors at play including whether he views Andy Dalton as his quarterback moving forward. There’s plenty of talent on that roster for him to work with if they want to win right away and the hope is he’s able to replicate some of Sean McVay’s offensive success. The situation seems right for that. Or is this a case of wanting to tear down and start over? If that’s the approach, we’re going to have to wait and see. Regardless, given the coaches Taylor has worked under, it seems safe to say he could be really good for Cincinnati. For the second part of the question, I’m going to cheat as well and ignore the “NFL head coach” part and just say coach in general, because if I woke up to a “Mick Stoltenberg is coaching at Place X” story on my timeline, I wouldn’t be the least bit surprised. I think he’s destined to be a coach somewhere. MB: Zac Taylor is a great guy, with a sharp football mind. Barrett Ruud is the same way. I wonder, however, if Barrett might do best at the college level, become a head coach at some point. In 40 years of Husker football coverage, those guys are among the nicest I’ve dealt with.